the target funds have been raised. Acting quickly when someone is in cardiac arrest and fighting for their life is crucially important. Around 60,000 out-of-hospital cardiac arrests occur in the UK every year. 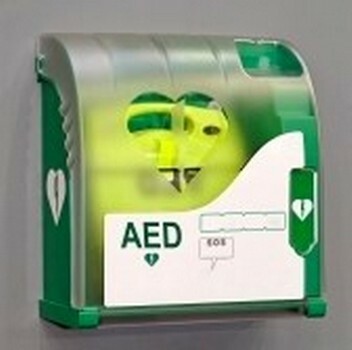 A defibrillator is a machine that delivers an electric shock to the heart when someone is having a cardiac arrest. These machines can also be called AEDs (automated external defibrillators). As a Sailing Club, we have a fair share of the older population as members, with this in mind and for the increased heath and safety of our members and members of the Public using The Arrow Valley Country Park; as a Club we have raised in the region of £1200 to purchase a defribillator for use on the Club site. The machine we have purchased is an intelligent system, it only administers an electrical shock if a shock needs to be administered.